Building methods helping to maximise energy savings are enjoying ever greater importance. With an annual consumption of max 15 kWh of heating energy (equivalent to 1.5 litres of fuel oil) per square metre of living space, the passive house currently embodies the most effective way of saving energy. In other words, the passive house consumes 75% less heating energy than a new building, and 90% less than a conventional building. All this is possible when a number of points interact correctly: triple glazing, roofed ventilation with heat recovery, and an intelligent multichamber window design. Even solar irradiation makes a passive contribution – so classical heating is no longer necessary. Fresh air at the optimal temperature generates a pleasant, feel good atmosphere in the passive house. And there are hardly any limits to the design, including the windows’: Unlike earlier, when the design potential was restricted and the profiles presented a chunky appearance, clever designs with slender profiles and a high percentage of glazed areas today give rise to original design possibilities and solar energy gains. Before it is certified as a “passive house”, a building must fulfil all of the prescribed limits. The manufacturers must verify in the form of product certificates that these values conform to the passive house standard. They are called “passive house compatible components”. The passive house institute Dr. Feist and ift in Rosenheim (Institut für Fenstertechnik e.V.) are responsible for this certification. What do these two certifications have in common? Are there differences? The Dr. Feist institute published its passive house conditions as early as 1992. The ift guideline WA-15/2 originated in 2011. 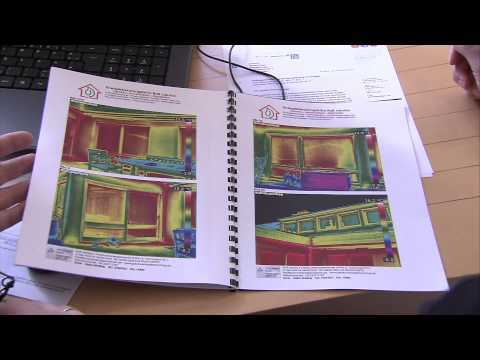 The thermal insulation value of the window frame (Uf value) is determined with a range of software at the Dr. Feist and ift institutes that analyses the properties in compliance with DIN EN ISO 10077-2. ift also offers a further method for determining this value: involving hotbox measurements. In this case, the tested window is mounted between two chambers with differing temperatures. The measured value is usually more plausible than the calculations, which involve a safety margin. The tests at the Dr. Feist institute consider the whole building, whereas ift determines the value based on the individual window. Basically, the following may be stated: The certification from both institutes requires that windows and glass facades exhibit a maximum total heat transfer coefficient (total Uw value) of 0.8 W(m²K). Both certificates therefore verify the passive house suitability of windows, which is very helpful to window makers, architects, and developers and safeguards reliability. Only sound advice and a professional installation ensure a high level of success for a passive house. So don’t delay any longer, and contact the expert specialised window maker of your choice for all questions about these subjects.